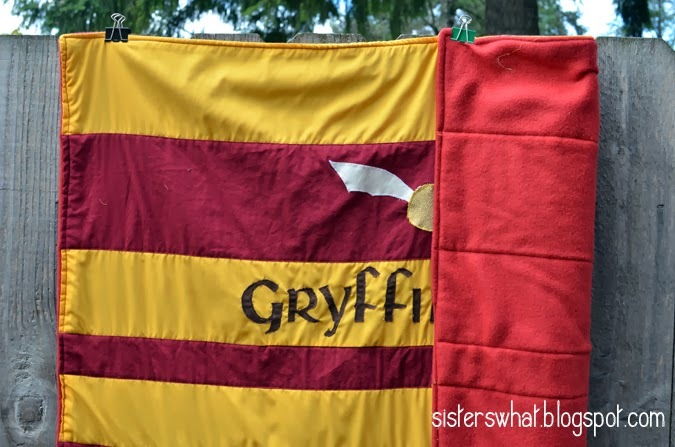 ' Harry Potter Gryffindor Blanket - Sisters, What! I am by no means a quilter. Far from it. But this idea just came to me and seemed simple enough. I made it lap sized, but still big enough to stay warm while reading. 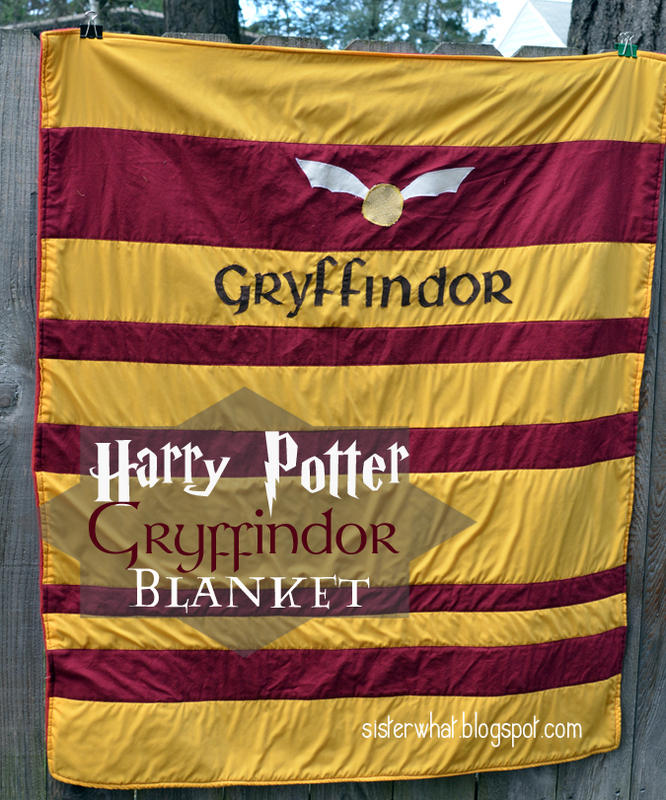 The blanket was complete with a machine applique of the snitch and Gryffindor. //1// The blanket width is the size of the width of the fabric. You can cut your strips perfectly even width or you can do it like me and make it kind of random. Then I add varying sizes of red in between. The yellow strips were generally larger than the red. 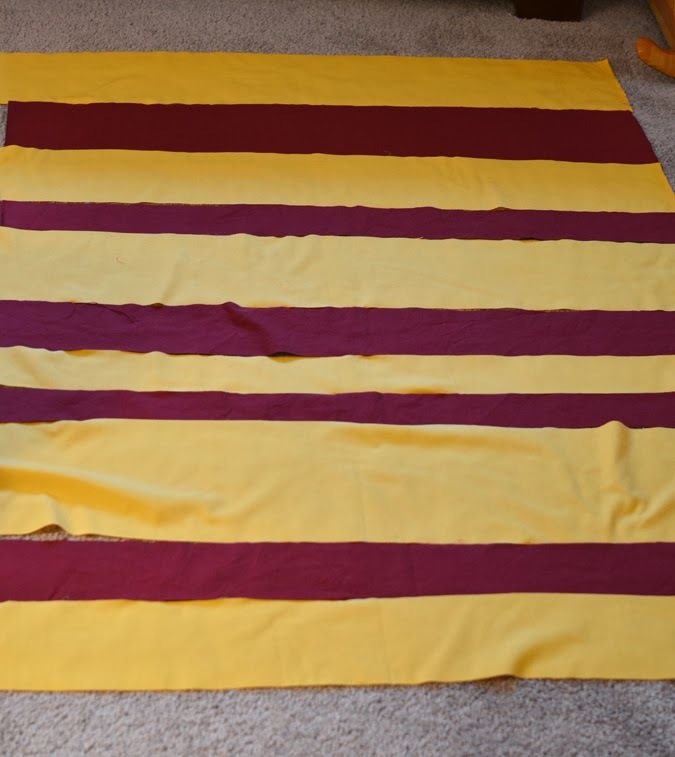 //2// I then sewed all the strips together alternating red and yellow. //3// I thought about quilting it to the fleece and then adding some binding, but I decided not to. I placed the front (striped side) wrong side on to the fleece and sewed around the outer edge of quilt (leaving a 10 inch gap on one edge). Then I turned it all right side out. //4// I decided to quilt it after I turned it right side out. I just quilted in the ditch and it turned out great. 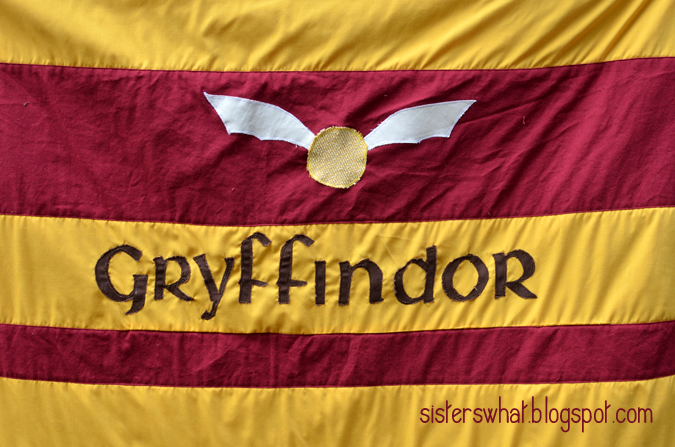 I think I really need to make one for myself now....Happy Harry Pottering!! Oh you clever lady, who on earth wouldn't want to receive one of these, it's lovely! (what do husbands know about such things!) I'd better not let my kids see it or I'll be making them all one, then maybe one for me too!